DVD-RAM conversions taking place in our lab.The small rectangles on the surface of the disk are visible in the photo, these are the hard sector marks placed during manufacture. 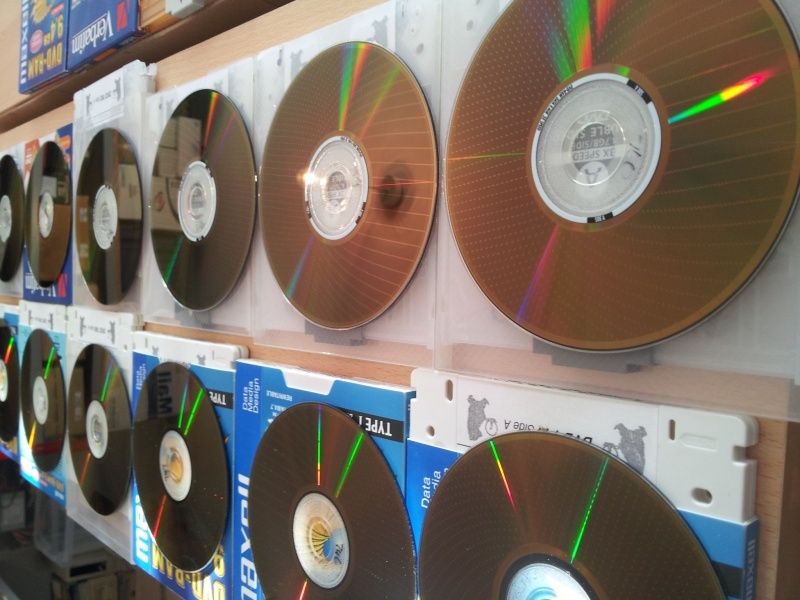 These particular disks were formatted and used on an Apple Mac and had their data files copied to a USB hard disk. If you need a DVD-RAM discs for Conversion service, then contact our friendly company. DVD-RAM conversions taking place in our lab.The small rectangles on the surface of the disk are visible in the photo, these are the hard sector marks placed during manufacture. These particular disks were formatted and used on an Apple Mac and had their data files copied to a USB hard disk..